Welcome to Hollingworth Elementary, A California Gold Ribbon School and a PBIS Bronze Award Winning School! We are an AVID Elementary...Where College, Careers and Citizenship begin! Active hands-on learning opportunities, access to computers & structured outdoor activities offered. Homework assistance, tutoring and a nutritious snack provided daily. Help your child develop lasting academic, social and lifestyle skills that prepare them for college, career, and a lifetime of success – with curriculum aligned to California’s K-12 Common Core Standards. 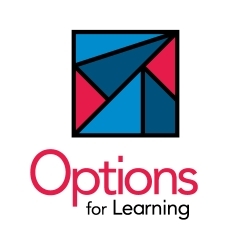 For more information and to fill out an interest form visit www.optionsforlearning.org or call the Enrichment Program office at (626) 967-9337. The Enrichment Program Division mission is to support school and district efforts to provide assistance to students with educationally enriching activities in a safe and nurturing environment during non-school hours.